3 Get Active, Get Walking! The great outdoors… fresh air, exercise and being at one with nature. It really doesn’t get much better than that. From leisurely strolls to adventure packed getaways, we truly believe getting your daily dose of the outdoors is one of the best things you can do. From youngsters all the way up to retirees, the outdoors offers everyone a fantastic playground to get fit and enjoy themselves. It also makes for a great family activity too. Getting started with walking and hiking around the UK countryside is not only great for your mental health, but also helps develop functional fitness that will help you approach everyday activities with ease (particularly important as we get older). And with the landscape of the UK one of the richest, most diverse, dramatic and stunning in the world, what better time to get out and discover and explore our beautiful countryside. Put the smart phones down, close the laptop and dust off that old ordinance survey map – it’s time to rediscover the simplest of activities that can transform your physical and mental well-being! To help get you started and ensure the ultimate enjoyment factor, we’ve pulled together some useful tips below. Hiking the UK is great for beginners. The geography doesn’t often get too challenging, so it really does mean beginners can feel confident in getting started. So, if you’re looking to start hiking in the UK, where should you start? If you’re completely new to this activity and envisaging short “hikes”, keep clothing simple and inexpensive in the first instance and use what you’ve already got. A pair of sturdy trainers with decent soles and grips will be fine for dry weather walking on fairly even ground. Wear lightweight layers that you can easily shed or add to if the temperature changes. Avoid cottons: whilst cotton is a natural product, it is notorious for retaining moisture, takes forever to dry once damp and can be exceedingly uncomfortable to wear. Synthetics on the other hand are lightweight, breathable and quick to dry and the apparel of choice for any seasoned walker. As you become more adventurous, consider investing in a pair of hiking shoes or boots. Don’t skimp on the socks either: quality walking socks should be either wool, synthetic or a blend of both. If you want to avoid the dreaded blister, ditch the cotton! And remember, there’s no such thing as bad weather, just bad clothing for that weather. 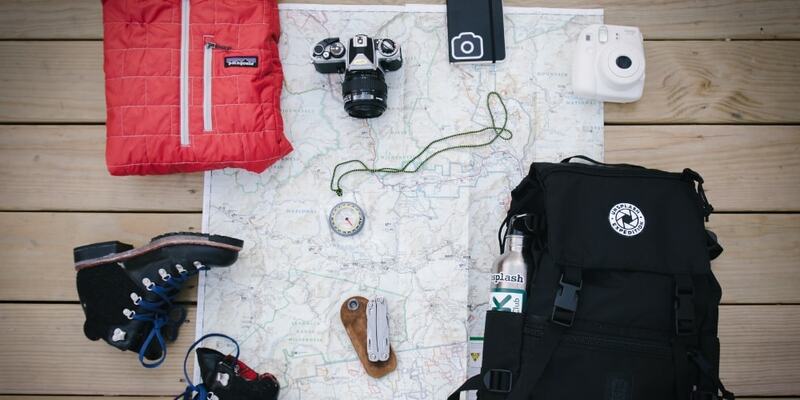 So make sure you’re ready for anything out on your hike. It might be warm and sunny when you start, but could been cold and wet by the time you finish. Make sure you’re prepared for any sudden change in weather. The beauty of walking is whether you’re fit as a fiddle or have health issues, it’s an activity that works for everyone. If you do have health issues, consult your GP for advice and check that you’re not being reckless. Make sure you pack your medicines in your backpack and take sufficient water to keep you fully hydrated whilst walking. Have first aid supplies to hand, including blister dressings and pain relief should anything unfortunate occur. Remember too that the sun can be fierce even in the coldest of winter months so always include sunscreen in your pack. And take a hat: you won’t be aware until it’s happened how exposed your ears and the back of your neck can be whilst out exploring and sunburn and sunstroke are two things you really need to avoid. Neither hiking nor walking are a race but intended as a fun and long term activity that get you out and about, improve your fitness levels and which have excellent implications for your cardio-vascular health. If you’re completely new to this sort of exercise, start short and build up your muscles and stamina gradually. Don’t toss in the towel after your first jaunt having embarked on a 16 mile cross country hike! Pace yourself, know your strengths and weaknesses, see how you feel after a 30 minute “stroll”, then build on this extending the length gradually so that you are then comfortable when you go further afield. Research your trail, factor in two miles per hour depending on the terrain and work out what is doable so that you get maximum enjoyment and don’t exhaust yourself. 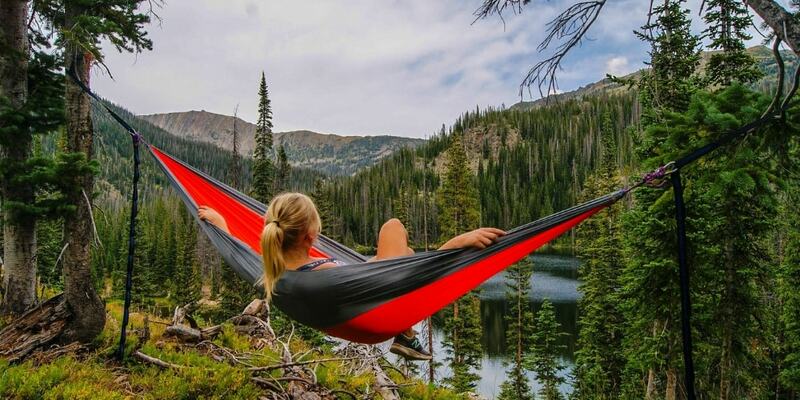 And make sure you enjoy it – don’t forget to pack your hammock and travel mug to stop for a well earned break en route. One of the beauties of hiking is that it is a great activity to do alone, completely independently of others and one where, free from distractions, you might unexpectedly at any time find yourself truly at one with nature. That said, it is also an activity that needs to be embarked on safely and one where it is important to let someone know your intended route and expected time frame should you be heading off the beaten track. Take your mobile phone with you and be sure it’s fully charged, check on mobile connectivity for your route if it is a longer jaunt you’re going on: you really don’t want your contact panicking unnecessarily and setting a major rescue mission in process simply because you’ve lost track of time on your latest adventure and are out of range. Be sure to have ample supplies with you: water has already been mentioned and is an absolute must but pack fruit and emergency rations such as protein or energy bars just in case you find yourself in desperate need of sugar fix. And have a map or hard copy of your route with you: Google maps will serve no purpose whatsoever when mobile connectivity is lost! Although the UK has quite a mild climate, the weather can change very quickly. That means not only doing a weather check in advance of your trip but also on the day itself. Weather in the UK can change rapidly despite the forecast and particularly when you are walking on exposed terrain such as moors, mountains, lakes or coast. Always carry a good quality lightweight waterproof in your backpack so you are fully prepared whatever the elements throw at you. Consider joining a club but do your research carefully and bear in mind your own fitness and stamina levels before opting for a particular one: you don’t want to be the one always struggling to keep up at the back. By the same token, you don’t want to be the person always upfront waiting for the stragglers to catch up! 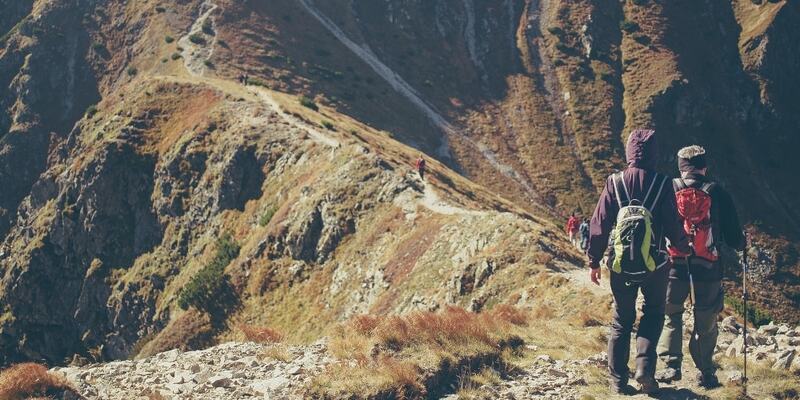 We hope we’ve whetted your appetite and given you a bit of insight into how to take up hiking. Choose fellow walkers wisely, engage at your own pace and make it work for you. With walking the ideal activity to keep your body supple, offset the aches and pains that accompany your body getting older and with the scenery, fresh air and nature that go alongside what’s stopping you! Whether you opt for a few short walks a week or embrace more of an adventurous hike at the weekend, the great outdoors is waiting for you!